A focus on targeted passions helped introduce Ubisoft's record breaking gaming franchise to a wider mainstream audience. PR agency The Academy was appointed by Ubisoft to launch Tom Clancy’s The Division 2. Moving the events of the first game on from New York to Washington D.C, the agency was challenged to expand excitement for the sequel to a mainstream audience. The Academy devised a campaign that targeted mainstream news, entertainment and sports pages with strategically-timed tactics around the game’s various BETA tests. The agency’s insights and data team analysed a new potential audience within Ubisoft’s segmentation of fringe players to find specific passion points that would allow them to take the game’s themes beyond the traditional gaming press. Sports, specifically football, and action-themed television were two high cross-over areas that appealed to TCTD2 fans. For sports the agency signed up six EFL Division 2 football players who were amongst the first people globally to play the game and act as ambassadors with a Tom Clancy twist. While actor and journalist Ross Kemp was drafted in to narrate tales from the game’s ‘Dark Zones’. Physical areas of tension and unpredictability within the game-world that allow players to challenge each other for the most sought-after high-value equipment. The dramatic readings aimed to capture the excitement of new players and reignite the passions of the existing community. 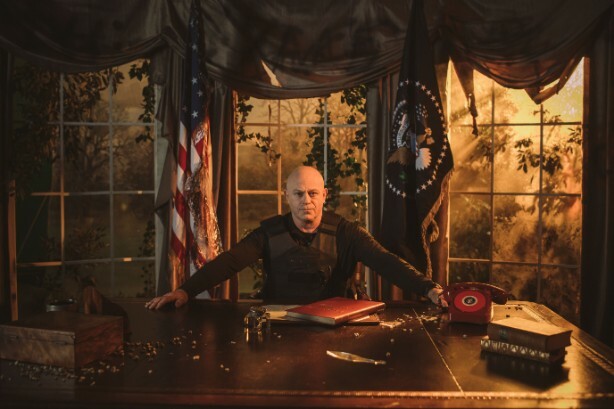 Ross Kemp’s journey from Walford to the White House generated over 25 pieces of standalone PR coverage, including seven pieces of national coverage across both print and online, hitting areas of the media landscape not covered by traditional videogame PR. Director at The Academy PR, Joel Zietcer, said: "From our side I think the real measure of success was looking back at the brief to reach a mainstream audience in a credible way. I think the tactics we activated really answered those questions and was very well received with traditional gamers. Fans really fell in love and engaged with the content and we’re really proud of that fact. It’s how we approach everything at the agency, by using both sides of the brain."